Kentucky Fresh Harvest, LLC, a hydroponic greenhouse operation based in Stanford, Kentucky, announced it has successfully completed an equity capital raise totaling $520,000 on Harvest Returns' investment platform. The funding raised will help the Kentucky Fresh Harvest team support its rural community by adding nearly 75 permanent, full-time jobs. Kentucky Fresh Harvest's facility will be able to produce approximately three to four million cherry tomatoes per year by 2020. Their facility also strives to be efficient, saving up to 135,000 gallons of water per day and 40 percent less fertilizer. Kentucky Fresh Harvest will bring millions of dollars a year of added revenue and economic benefit for the local area. Kentucky Fresh Harvest is a high-technology greenhouse project based in Stanford, Kentucky. 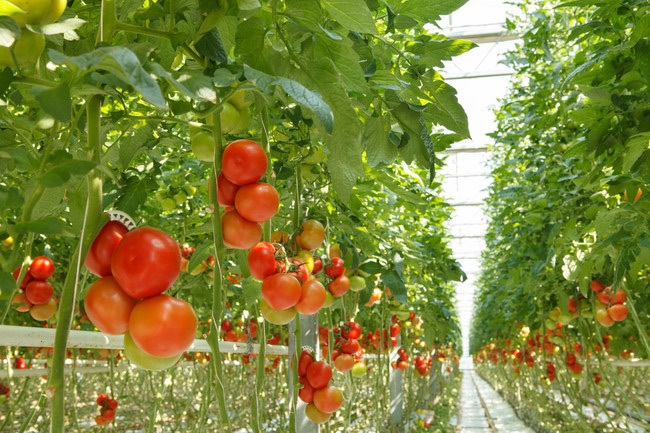 Overseen by Haim Oz, Founder and CEO of OAPI, a world leader in the development of hydroponic greenhouses on five continents, the company has a focus on growing niche vegetables, such as cherry tomatoes and bell peppers, year-round. Headquartered in Fort Worth, Texas, Harvest Returns, LLC is a financial technology company created in 2016 by two military veterans to bring agricultural producers together with investors. Through democratizing the agriculture investment process, the online platform provides curated, diversified offerings of farms, ranches, and timberland to qualified investors. For more information, please visit harvestreturns.com.